We know you have been waiting and we are excited to announce the Logitech® SLIM FOLIO PRO is now available for the new 11-inch and 12.9-inch iPad Pro® (3rd generation). The Logitech SLIM FOLIO PRO makes it easy and convenient to get work done on your iPad Pro from anywhere, whether it’s your local coffee shop, an airport lounge or from the comfort of your lap. With well-spaced keys and a full row of iOS® shortcut keys, SLIM FOLIO PRO provides a comfortable and efficient typing experience, that allows you to easily control brightness, volume and more with a single touch. SLIM FOLIO PRO adjusts to meet your needs — reading, sketching or typing. Simply fold up the SLIM FOLIO PRO keyboard to catch up on your favorite novels or work on your latest design with the Apple Pencil® (2nd generation). After you’re done, you can charge the Apple Pencil with the case on. 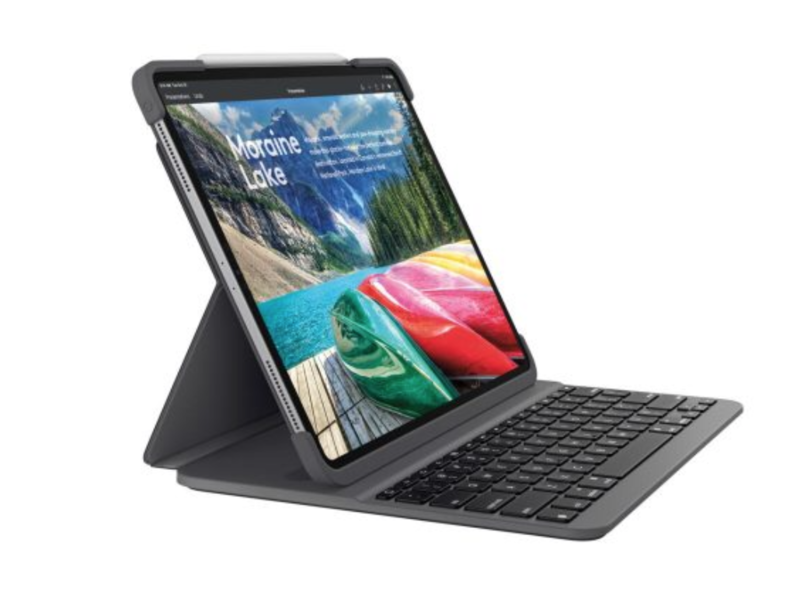 And, thanks to a reliable Bluetooth® LE pairing, you only need to set up your connection once, as the keyboard automatically remembers your device every time you open your iPad Pro. Plus, the battery lasts up to three months on a single charge so you don’t have to worry about charging on-the-go. Not only does the SLIM FOLIO PRO protect your device from scuffs, scratches and spills, the keyboard case is lightweight and durable. The fabric is soft to the touch and a magnetic latch keeps the case securely closed. 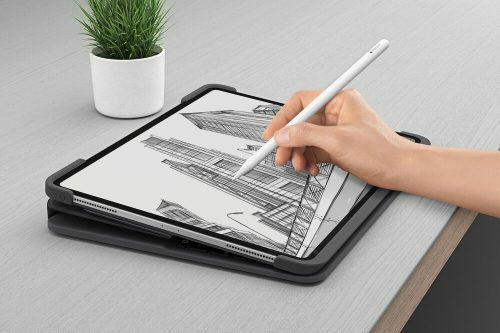 Work more efficiently with SLIM FOLIO PRO, currently available for the new 11-inch and 12.9-inch iPad Pro (3rd generation) on Logitech.com and in select retail stores.